In the case of a no deal Brexit, there will be a number of solutions available to alternative asset managers, and the latest communication from European and national regulators has confirmed that the impact of a no deal Brexit would be mitigated for UK asset managers. Until further advice on distribution rules, UK managers that have to date used the AIFMD passport to raise funds from EU investors will have the option to either establish their own AIFM in an EU member state (such as Luxembourg or Ireland) or to appoint a third-party AIFM such as SGG's third-party AIFM. In such cases the UK manager can either provide investment advice to the fund, or perform the portfolio management function under the delegation rules. Under the investment advisory model, the AIFM would retain all the fund manager functions, ie, risk management and portfolio management, and distribution, while investment advice would be provided by the UK manager. Under the AIFM delegated model, the AIFM would retain some of the AIFM functions, mainly risk management and Annex IV reporting, while the portfolio management would be delegated back to the non-EU asset manager. The AIFM would thus distribute the fund within the EU. 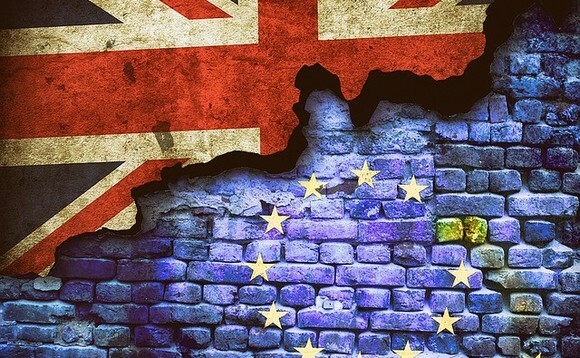 Another option for UK managers to access EU investors under a no deal Brexit would be to use National Private Placement Regimes (NPPRs), although NPPRs vary considerably between jurisdictions, with some requiring a lengthy authorisation process. Will the option to delegate the portfolio management happen on day one? Yes, indeed, the European Securities and Markets Authority (Esma) and European securities regulators have agreed on 1 February 2019, on Memoranda of Understanding (MoUs) with the Financial Conduct Authority (FCA) of the UK. It is good news that Esma and European securities regulators have agreed these MoUs, which will provide comfort to the asset managers and the investors whatever the Brexit scenario is and in particular in the case of a no deal scenario. Such MoUs are crucial instruments that enable supervisory cooperation, enforcement and information exchange between national regulators and the FCA, and will allow them to share information relating to, amongst others, market surveillance, investment services and asset management activities. This cooperation ensures the right regulatory environment for delegation to asset managers based outside the EU. This means that certain activities, such as investment management activities, can continue to be carried out by UK based asset managers through delegation by an EU-based AIFM (be it the asset manager's own EU-based AIFM or a third-party AIFM based in the EU), thereby protecting UK's asset managers from the most immediate and detrimental potential consequences of the discontinuation of investment that would be triggered by Brexit. What is the best domicile to set up an AIFM or ManCo? While a recent survey conducted by SGG of managers and investors suggested that over two-thirds would not consider re-domiciling, all respondents who had considered moving away from the UK had singled out Luxembourg as their location of choice. The Financial Times has reported that the number of people working in the Luxembourg fund industry grew by 10% last year as UK based fund managers put Brexit contingency plans into action and set up operations in the Grand Duchy. The Luxembourg market is well versed in alternative investment funds managed by third party AIFMs based in Luxembourg, and UK asset managers would continue to perform portfolio management, although by being outside the single market they would no longer enjoy a distribution passport. In 2018, Luxembourg introduced key regulatory changes on the governance and organisation of alternative investment fund (non-Ucits) depositaries and on the authorisation and organisation of Luxembourg investment management companies respectively. These are intended to reinforce the establishment of investment managers in Luxembourg, by providing extensive guidance regarding organisation, operations and substance, as well as the management information systems and regulatory reporting to be put in place for AIFMs, as well as providing the conditions, harmonising its approach to Investment Fund Managers in Luxembourg, whether they have a Ucits ManCo or an AIFM license. At the same time, there is no doubt that Dublin is another tried and tested jurisdiction, which is also likely to be an appealing prospect for those used to dealing with the UK, and which is already seeing a significant influx of business into the country.